Listening to music while chopping up Khashoggi — alive! The Saudi consulate in Istanbul doubled as slaughterhouse, at least on October 2. The butchers from Riyadh had come with a bone-cutting saw. They had an important mission to accomplish: grab Jamal Khashoggi and cut him into pieces. 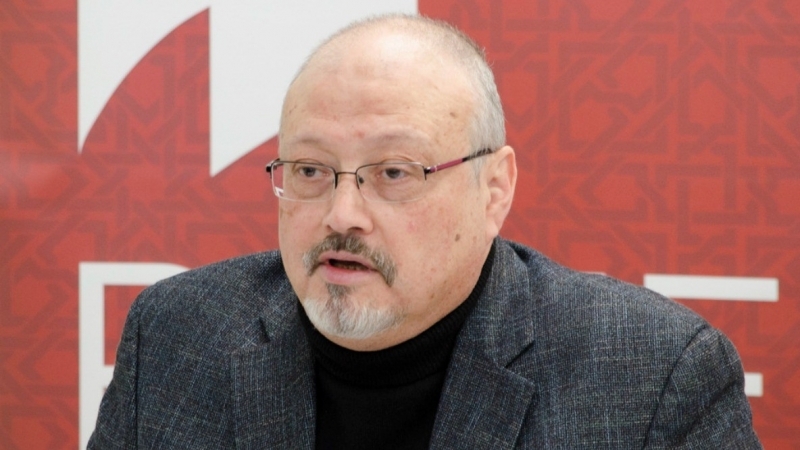 Audio recordings of the macabre ritual on the study table of the Saudi Consul General leaked to the Turkish media reveal that Khashoggi was chopped up while he was still alive. The lead chopper — Salah Muhammad al-Tubayqi — was part of the 15-member squad (their names and photos were published in the Turkish daily, Sabah) that had arrived earlier in the day at the consulate. Identified as a 20-year veteran and head of forensic evidence in the Saudi general security department, al-Tubayqi put on earphones and listened to music as he dismembered Khashoggi with a bone saw. He advised other members of the squad to do the same in order to drown out Khashoggi’s screams. Was he listening to Beethoven as he went about his macabre ritual? “When I do this job, I listen to music. You should do [that] too,” al-Tubayqi was recorded as saying, according to the Middle East Eye quoting a Turkish source (October 17). First, Khashoggi’s fingers were chopped. Obviously they had to go first because he used them to type “nasty” reports published in the Washington Post. Next, his arms were sawed off. Turkish media reports say that people downstairs in the consulate could hear Khashoggi’s screams. The consul general Muhammad al-‘Utaybi, perhaps a little faint-hearted, was also told to leave his office! Barbarism is in Najdi Bedouins’ DNA. It has also been reported that after completing the chopping task that took 11 minutes from which Khashoggi took seven minutes to die, all 15 members went to the consul general’s house for dinner. That they could enjoy dinner after indulging in such a gruesome act speaks volumes about their demonic nature. Perhaps, people would now get a better sense of the Saudi mentality. Let us get some basic facts straight: Khashoggi was no revolutionary or champion of freedom of speech or even basic freedoms. For decades he served the Saudi royals faithfully acting as advisor to Turki bin Faysal, the Kingdom’s long-time intelligence chief. He also headed many media outlets, acting as apologist for the regime. Khashoggi had also denounced Shaykh Nimr al-Nimr as an “outlaw” and applauded his beheading in January 2016. Such sycophancy, however, did not guarantee his safety. With thousands of academics and religious scholars imprisoned by the impetuous crown prince Muhammad bin Salman (MbS), Khashoggi fled the country settling in the US. The Washington Post, which is basically a deep-state/CIA front organization, provided him space for a regular column. He started to express mild criticism of Bin Salman’s policies but this was quite tepid and not meant to rock the Saudi boat. Even this, however, was not acceptable to the crown prince. There were probably other reasons as well but first let us be clear that Bani Saud deserve no sympathy. Those responsible for the ghastly murder should be held accountable. The Saudi admission on October 19 that Khashoggi was murdered in the consulate after a fistfight broke out is a crude attempt to deflect responsibility from Bin Salman. It was Donald Trump who first floated the theory of “rogue killers” being responsible. Soon thereafter, he dispatched Secretary of State Mike Pompeo to Riyadh and Turkey (October 16-17) for private consultations and issue instructions on how to sweep the matter under the rug (damage control). An artist’s rendering of what a Saudi apology — not to Khashoggi’s family, the field of journalism, or the world, but to the US and Israel — means in real-world terms. The White House’s tepid response to the whole incident suggests that it was a setup for a trillion dollar shakedown in order to bolster the US economy and thereby improve President Trump’s chances for re-election in 2020. Should the clown prince accept culpability, hush money will have to be paid (mostly to Washington); should he deny responsibility and refuse to pay up, then the message has been sent: you are on a fault line that we control, and we will replace you with a more pliable prince who accedes to our security guarantees and any strings that come attached. This scenario seems to concur with the news leaked by the Turkish ambassador to Lebanon about the CIA setting up the assassination and dismemberment of Khashoggi. 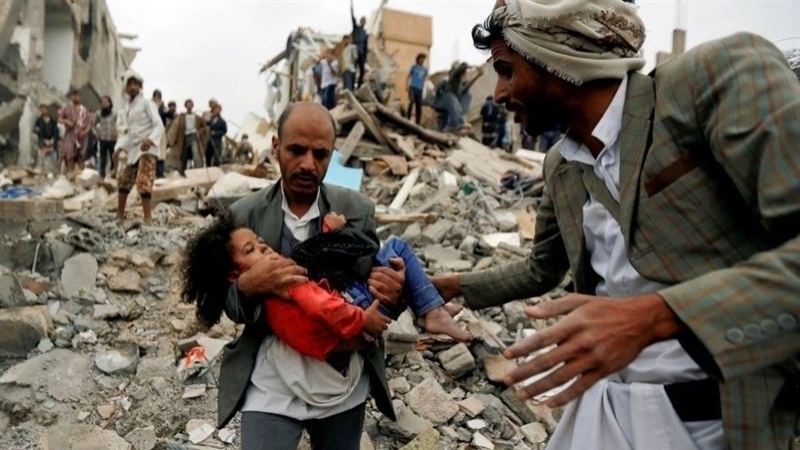 The Saudis announced that 18 people had been arrested and were being investigated. Ahmad ‘Asiri, deputy head of intelligence, and Sa‘ud al Qahtani, a senior guard in Bin Salman’s security detail, were dismissed from their posts. Saudi media also reported on October 20 that an investigation had been launched. Both Turkey and the US — the latter eagerly protecting the Najdi Bedouins — are exploiting this to further their own interests. This is shocking even by their own low standards. Trump does not want to jeopardize the $110 billion Saudi arms deal; he wants — and will get — billions more from the Saudis for giving MbS, now dubbed “Mr. Bone Saw,” a clean bill of health. 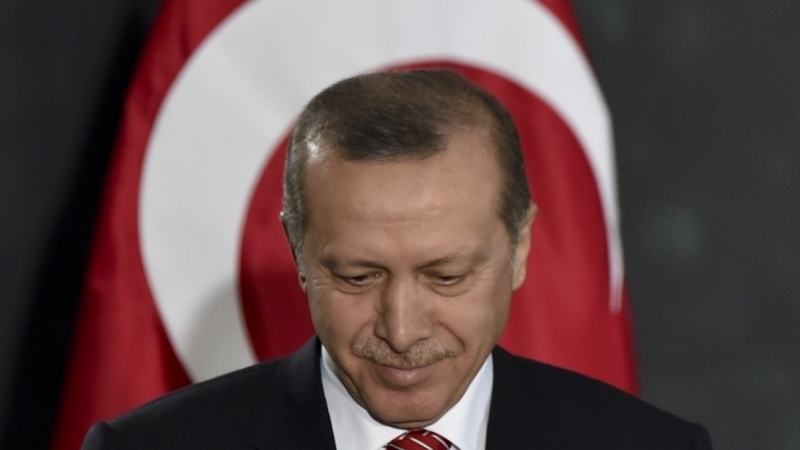 Turkey is demanding billions in Saudi investment and recognition as leader of the Muslim world. Turkish President Recep Tayip Erdogan’s pledge on October 20 to reveal the “naked truth” about the murder on October 22 turned out to be a rehash of stuff already known. Did he back down from revealing more details under pressure from the US? There is also speculation that the Saudis may have increased the bribe amount; nonetheless he appears dissatisfied with the reported $5 billion offered so far. 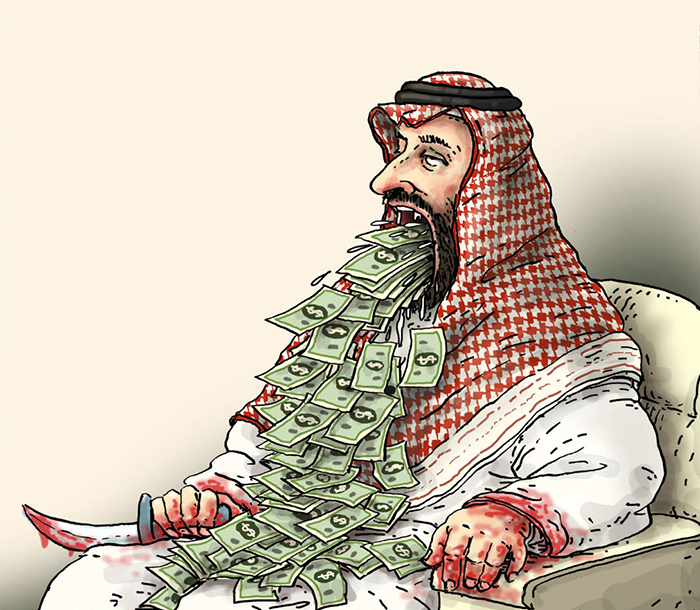 He wants many more billions before he would destroy the audio and videotapes to exonerate Bin Salman of Khashoggi’s murder. 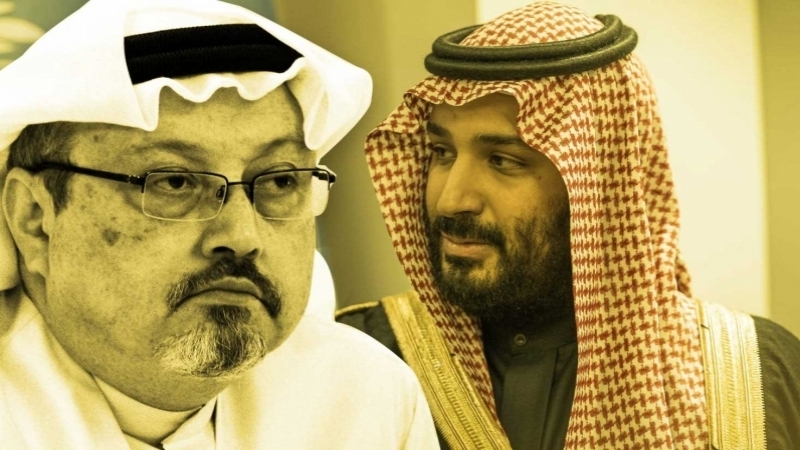 On October 21, the Turkish daily Yeni Safak reported that Bin Salman had spoken to Khashoggi minutes before the latter was killed at the consulate. Mahir ‘Abd al-‘Aziz Mutrib’s cell phone was used. Mutrib is a member of Saudi intelligence and is close to Bin Salman. There was also a Skype conversation between Sa‘ud al-Qahtani (another Bin Salman guard) and Khashoggi at which the former told the journalist to return to the Kingdom. When Khashoggi refused, al-Qahtani ordered the team to bring the “head of this dog to Riyadh.” This seems to have been obeyed and Mutrib is believed to have taken Khashoggi’s body parts in his luggage back to Riyadh (he did not go through security screening because he carries a diplomatic passport). There has, however, been major fallout from the ghastly murder. Saudi stocks plunged 7% losing some $50 billion on October 14. Leading Western investors and executives pulled out of the “Davos in the Desert” conference (October 23–25) in Riyadh. It would have been too much even for the Western bloodsuckers to be shaking hands with MbS while Khashoggi’s blood was still dripping from his hands. Any speculation that this would lead to Bin Salman’s removal from power is premature. He is too closely tied to Trump and his son-in-law Jared Kushner. The hope is that the hoopla over the Khashoggi murder would soon subside. It should have by now, but for the relentless campaign by the Washington Post and the CIA that want to squeeze a lot more money from the Saudis. What the Khashoggi saga has resulted in is that Bin Salman has been greatly weakened although it would be unrealistic to expect that he would be forced to resign or that there will be major changes in Saudi policy. No more should be expected than for Bin Salman to maintain a low profile for a while until the issue blows away. Such are the ways of modern diplomacy and politics. 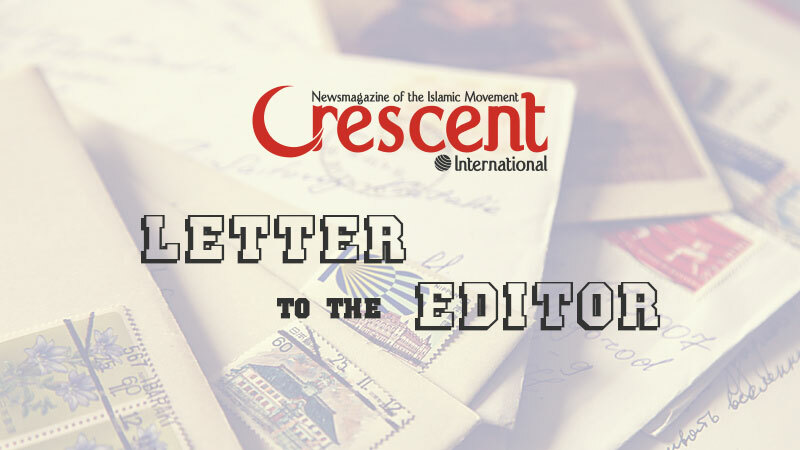 Khashoggi Murder a Wake-up Call?